Tomatillos give the traditional Bloody Mary a green twist for a Verde Mary or Green Bloody Mary. This spicy colorful take on the classic cure-all cocktail will have you serving them every weekend. There aren’t too many people out there who love brunch more than I do! When it comes to brunch foods I’m all in, especially when it includes my favorites like Homemade Blueberry Pancakes, Creme Brulee Baked Oatmeal, and Lemon Raspberry Coffee Cake. Who doesn’t love a good cocktail that’s socially acceptable to sip on before noon?! Some people like to start their mornings with a nice green smoothie, while I prefer to start my mornings with what I like to call a salad in a glass! Fruits and vegetables galore in the recipe pretty much means it’s a cocktail that will keep you on your diet plan right??? That’s at least what I tell myself. This green bloody mary is a refreshing change of scenery in a sea full of regular bloody marys and mimosas. With a spicy kick that sure packs quite a punch, you’re in for a treat that is about to change the way you see your favorite mid-day cocktail. Garnish it to your heart’s desire to make a creation that you can sip on and sack on at the same time! What’s In A Green Bloody Mary? 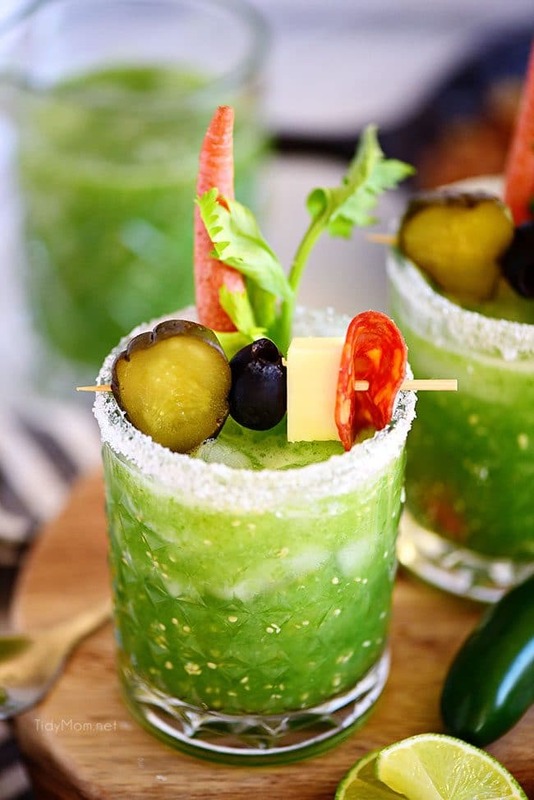 When it comes to a green bloody mary you might have a lot of questions about what’s in it that makes it different from the traditional bloody mary. Aside from a few key ingredients, a lot of the spices and additions are the same that you might see in your traditional bloody mary. Tomatillos: This is the main ingredient that accounts for the green hue of this Verde bloody mary. Tomatillos look a lot like a small green tomato. Don’t let that look fool you though. These are not like a regular tomato. Tomatillos have a slightly more acidic, slightly less sweet flavor than ripe and unripe tomatoes. Overall, the flavor is more vegetal and bright, and the interior texture is denser and less watery. English Cucumber: You want to pay attention to detail with this ingredient. An English cucumber is not exactly the same as a regular cucumber, and you will not want to substitute one for the other. This type of cucumber is sweeter, less bitter and fewer or smaller seeds than a traditional cucumber. Serrano Pepper: To add a bit of a kick to the recipe we will be using the serrano pepper instead of jalapeño pepper. The serrano pepper is a type of chile pepper known to have a bright and biting flavor that is notably hotter than the jalapeño pepper. If you want to reduce the spiciness of the drink I would suggest trying it with a jalapeño pepper instead. All ingredients listed above can be found in the produce sections at most traditional grocery stores. We all know that when it comes to any kind of bloody mary, the drink is really what you make of it. Know that this recipe is just a starting out point, and you can play with it and add whatever you think will take it to that next level. 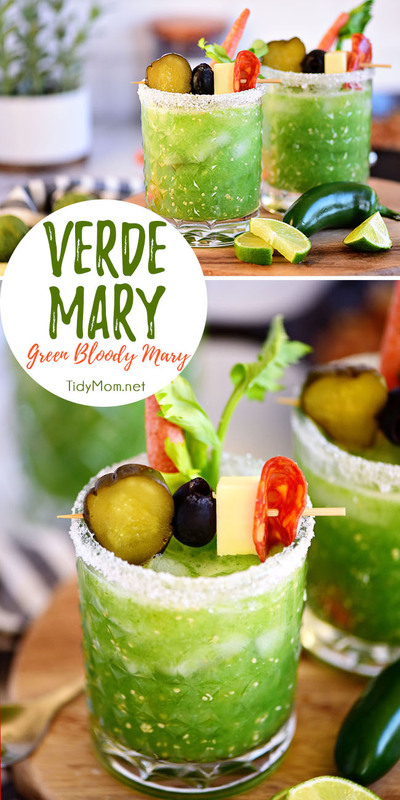 Here are some of my favorite ways to enhance the green bloody mary! Chill the Ingredients: Make sure all of your ingredients, including the vodka, are chilled prior to mixing. 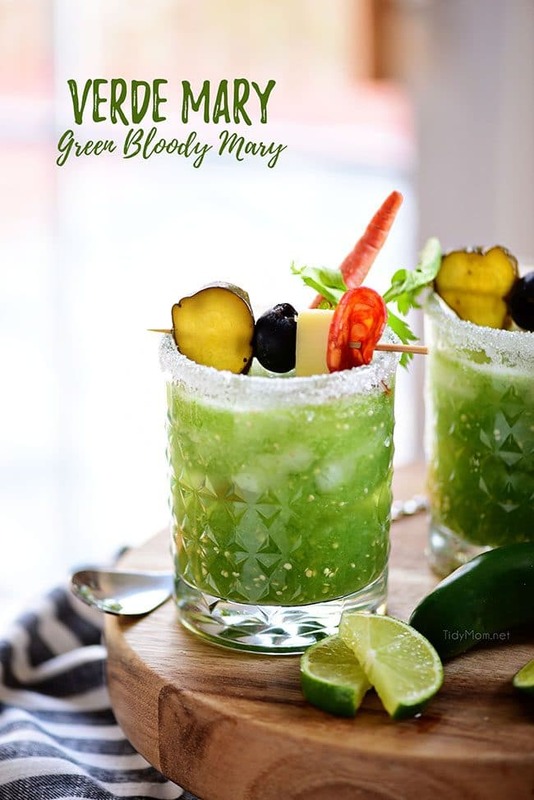 Bloody Marys are best when refreshingly cold so make sure to also fill your glasses to the brim with ice and serve with refrigerated Verde Mary mix. Garnish Garnish Garnish: Here me loud and clear when I say DONT HOLD BACK! I love going all out with my garnishes because of the more the “MARYer” If you’re serving just yourself or a couple people I suggest just picking up a few of your favorite toppings like cheese olives, pickles, and meat. If you’re serving a crowd or party, I love the idea of the build your own bloody mary bar. set up a tray of all different garnishes and add-ins and let people go crazy! 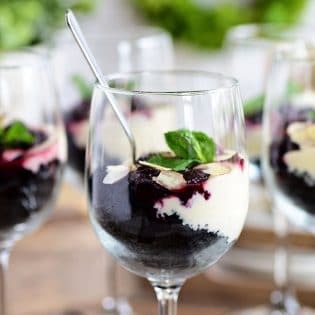 You’re Going To Love These Brunch Approved Cocktails! Raspberry Kir Royale Champagne Cocktail a cocktail that is sure to make any occasion feel extra special. Whether you’re celebrating New Year’s Eve, Valentines Day, or need a bubbly brunch cocktail, mix up this recipe for a subtle twist on a classic Kir Royale. Pear Hibiscus Brunch Cocktail Flavored with pear vodka to make it sweet, fruity, and extra girly. All your party guests will be impressed by this one. Rosé Sangria With Berries Perfect for cooling off in the summer heat. Wow your guests and serve up this easy rosé sangria recipe at your next party! Sparkling Cran-Raspberry Punch The perfect combination of sweet and tart! This easy punch is ideal for parties, brunch, or a night in with friends! Strawberry Basil Moscow Mule a traditional Moscow Mule with vodka, ginger beer, and lime, that gets fresh strawberries and basil muddled into the mixture. It’s the best cocktail out there for brunches and you should probably be drinking one over the weekend! Mexican Mimosa If you aren’t hosting Sunday brunch soon, you’ll find a reason to after you try this Mexican mimosa. Tequila is the secret ingredient that sets this mimosa apart from the rest. 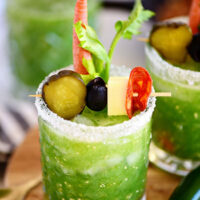 Like This Green Bloody Mary Recipe? Pin It! 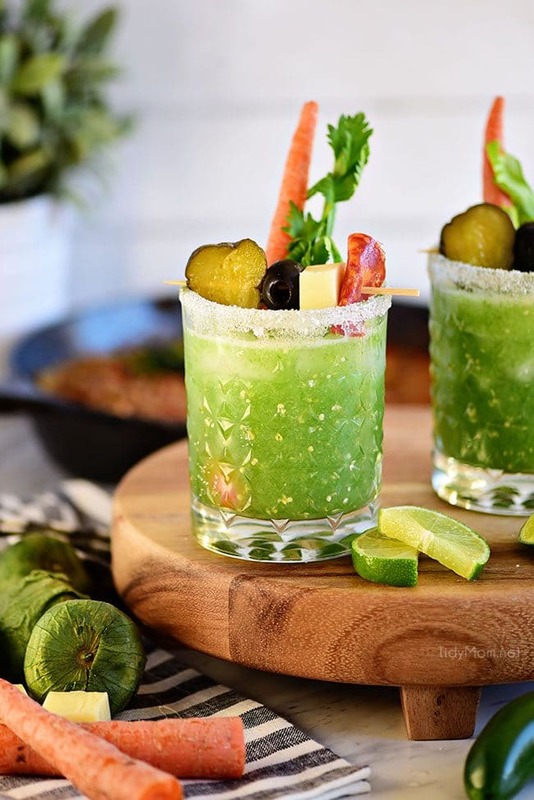 This Green Bloody Mary Is Too Good Not To Make! No matter what time it is while you’re reading this, I guarantee you it’s a good time for a green bloody mary. 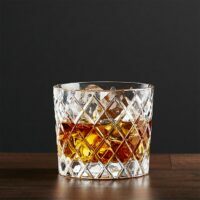 This fun and flavorful cocktail is sure to knock the socks off of anyone who tries it. So get started and get creative. Pull out some of your own favorite Bloody Mary additions and share them in the comments below! 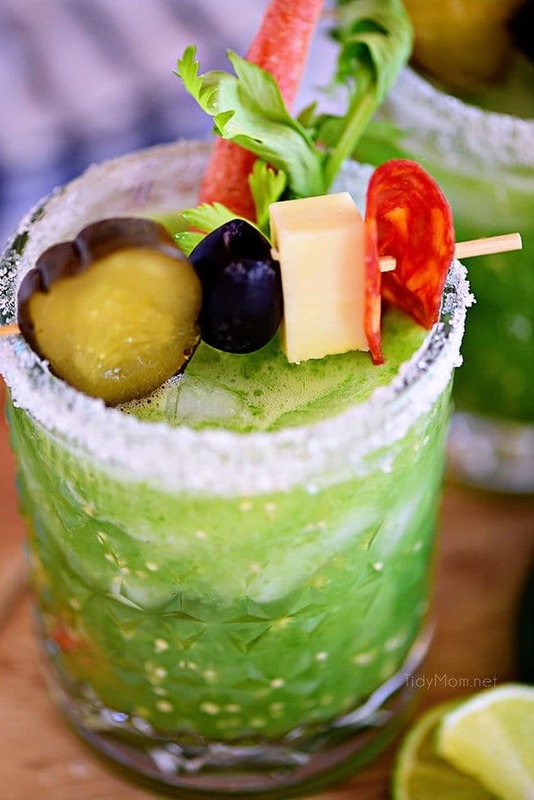 Tomatillos give the traditional Bloody Mary a green twist for a Verde Mary or Green Bloody Mary. A spicy colorful take on the classic cure-all cocktail. 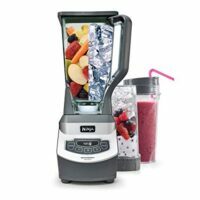 Combine all cocktail ingredients in a blender. Blend until smooth. Rub the rim of two rocks glass with a lime slice and roll in course sugar. Serve chilled with ice. Garnish as desired. adjust hot sauce and chipotle chili powder to the level of hotness you prefer. These look so refreshing! Can’t wait to make one! WOW! Now THAT’S a drink! Such a delicious drink – you always have the most delicious drinks! This was a knockout! 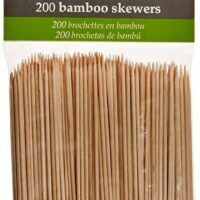 Where has this been all my life? 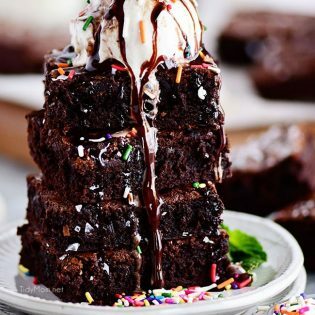 Totally making these for my next brunch! A fun twist on a traditional for my brunch! Thanks for a great recipe! I’m suddenly very thirsty! This is one gorgeous drink Cheryl. These looks so tempting, Sousan! ha, so that’s what makes it green, what wonderful idea! I had always preferred red vs green sauces until I had a really good chili verde and now it’s my preference, so what better than in a bloody mary! It doesn’t have to be red! Thank you!